Become an Impact Hub Zürich member! You want to connect to a local and global network of 16’000+ members? Access virtual business opportunities? Meet and/or work in 100+ locations across the world? Attend and organize cutting-edge events? Or simply contribute your strengths to our vibrant community? Then join us & become Impact Hub member! No one wants to buy a pig in a poke, that’s why we offer you 3 ways to get to know us. Join us for the Tour de Hub that takes place every month to get a first glimpse and intro into our world. Test our atmosphere in the coworking spaces on a first (free) day of coworking at our locations - we want you to test us before you join us! Do you already know you want to become a member? Fill out the online contract now (by clicking on the icon) and get started right away. Our Membership Agreement (sign up here) is by default entered for an infinite period of time, but Memberships can be up-/downgraded, paused (for a limited time) or cancelled every month, with a written notice until the 15th of the previous month. In a first step, you can decide how many coworking days you need. And if you need ultra flexible access to our inspiring space to work, we offer day passes for community members (CHF 25) and for non-members (CHF 35). To purchase a day pass, simply approach a Hubonaut at the reception desk of Colab or Viadukt – no need to sign-up for them in advance. Depending on your membership, these are the possible add-on services to chose from. Teams (more than one person in a company) get a 20 % discount on all Memberships (except Community Members). If you are a corporation or organization, we also offer transferable memberships for employees. Get in contact with Michael. At the moment we have no Resident Desks available, if you are interested in a Resident Desk please contact us! EO is a collection of like-minded entrepreneurs focused on business growth, personal development and community engagement. Their global makeup is comprised of nearly 13,000+ individual member stories. Since 1987, EO has been transforming the lives of the entrepreneurs who transform the world. As the global thought leader on entrepreneurship, EO plays an integral role in businesses, industries and the lives of leading entrepreneurs everywhere. Through this partnership, Impact Hub Zürich members can benefit from 2 mentoring events a year with mentors and entrepreneurs from EO. Furthermore Impact Hub Zürich members get access to the EO Accelerator eoaccelerator.ch at a special rate. In addition EO members get access to our space, so that meeting them over coffee is very likely. Google for Entrepreneur’s mission is to connect global startup communities so that – together – we can work on the world’s biggest challenges. 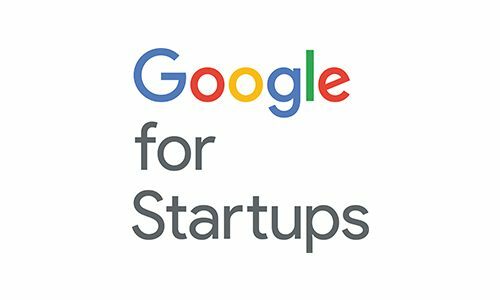 They provide financial support and the best of Google’s resources to dozens of coworking spaces and community programs across 125 countries. They also create Campuses: physical hubs where entrepreneurs can learn, connect, and build companies that will change the world. Through this partnership, Impact Hub Zürich members can benefit from the world-wide GFE partners network and free access to over 50 partner sites and campuses in 20+ countries. You can use the other partners as base when traveling on business, and join mentoring sessions with Googlers. Members can also apply for the USD 20k Google Clouds Spark Package. All start-ups need funding. In order to give our members special access to the world of crowdfunding, we launched the Impact Hub Channel in partnership with wemakeit. Thiw is our format for 1-on-1 start-up support with professional experts on topics such as business modelling, legal issues, accounting, venture financing etc. that you can book when you need it.